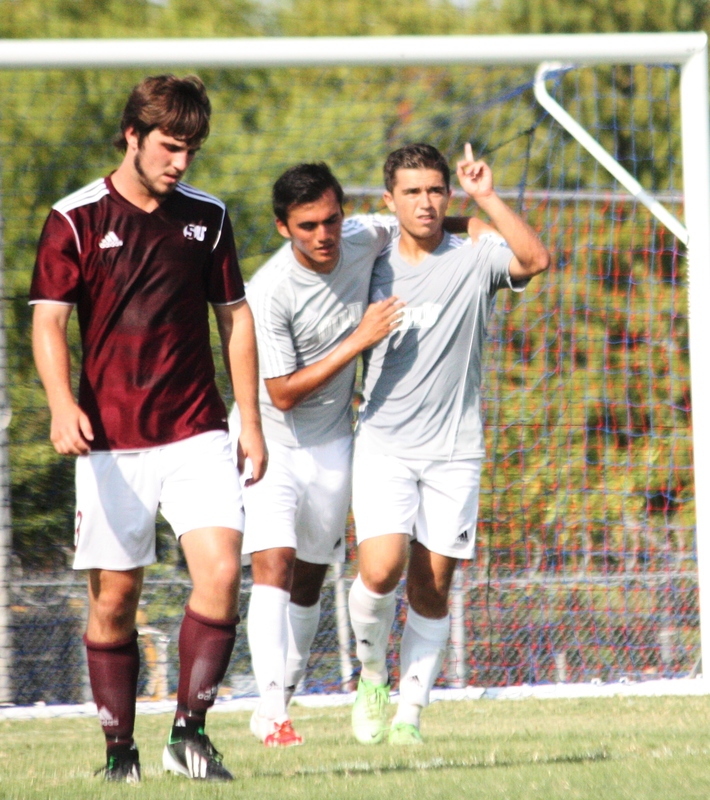 Giovanni Sierra and Robert Alexe celebrate after scoring a goal. Robert Alexe and Giovanni Sierra each scored two goals and led the OLLU men’s soccer team to a 7-1 win over Schreiner University from Kerrville, Texas. The win keeps the Saints undefeated with a 3-0 record, while NCAA Division III Schreiner drops to 0-2-1. The Saints outshot the Mountaineers 27-7. Alexe led OLLU with four shots, three on goal. Sierra and Jonathan Garay also had four shots each. Read more online.